Showing results for tags 'stormcast eternals'. 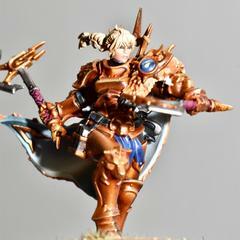 Help with my 1500 stormcast list? Stormcast Eternals and the Nietzschean 'Ubermensch' This is a piece about Warhammer and Nietzsche, pertaining particularly to his concept of the Ubermensch. I quite enjoy Nietzsche (not the same as always agreeing with him). And while I actually do think there is a case for quite a few of his takes (Genealogy of Morals and Anti-Education are important works with a lot of merit as anti-establishment dissent), I'm uncertain about his concept of the "ubermensch", the Nietzschean superman. But it's the latter that is the topic of this post, and I think it does have some interesting relevance to Warhammer lore. Obviously, the first thing to come up when broaching this topic are Space Marines. But I would say that the SM are in fact a poor example of the ubermensch. Similarly to how Nietzsche's concept was appropriated by the most horrifying regime of the 20th century (Aryan supermen), the similarities are predominantly superficial (and, truly, it is unfortunate for such an interesting if prickly thinker like FN to be tarnished by such association). Nietzsche was not concerned foremost with brawn or aestheticism but with a stubborn will toward self-actualising. To borrow an over-used term, it's a mindset, not genetic inheritance. So, while marines literally are literal 'super-men', the eugenics and lack of self-determination do not fit with the ubermensch ideal. To move this onto the Stormcast, who I believe are more fitting embodiments of the idea, I want to touch on the idea of 'slave morality'. Cribbing from Nietzsche here: for the Greeks, the duality was was between good and bad i.e. good was synonymous with nobility and strength, while bad was the plebeian, weak and the low. This was what Christianity successfully reacted against, based on the revolutionary idea that the formerly "bad" values of passivity, weakness and "turning the other cheek" should be re-categorised as 'good', while many of the ways that 'good' nobility expressed its strength upon the low was not only not "good" but a new moral category: evil. Both 40K and AoS exist in a context different from 'modern' morality (i.e. the idea of peaceful, passive good vs invasive, malicious evil found in the Abrahamic religions). In the world of warhammer, deities are literally real, active (and not simply to be interpreted by the priestly class), and essentially deny the creation of any such morality based on the veneration of passive resistance. 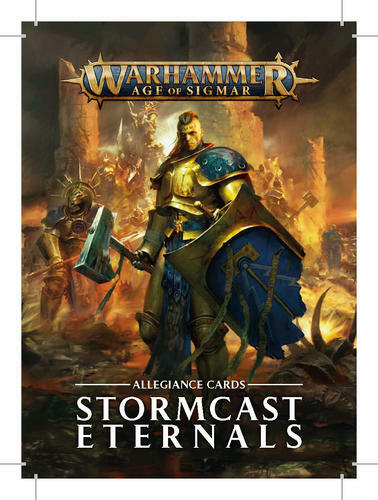 AoS's Stormcast eternals may at first seem to be a simplistic version of the traditional "golden goodies", but there's actually some interesting stuff to dissect there. N's concept is essentially an idea of a, a subject who rises above modern "slave" morality to forge their own, self-affirming lifestyle. Of course, the SCE serve their god Sigmar, but the military hierarchy is one which allows for the questioning and debating of individuals. It's not a collective which suppresses dissenting assertions of will, and ironically (though obviously, this is GW's authorial choice), such freedom to 'be' has meant zero defections to chaos among their ranks. Sure, they operate as part of a uniformed collective, but the point of the ubermensch is not necessarily isolated individualism but how the personal glory and strength of an individual elevates all. After all, Sigmar plucks only the greatest warriors from their moment of death and invites them into his service. More than just the "Blonde Beasts" conquering and asserting their power across the realms, SCE protect the vulnerable from Chaos, which you could interpret as a version of what N describes as a healthy creditor-debtor relationship: the stormcast gain satisfaction from saving the powerless through the expression of their own superior power (a more effective form of strength assertion than Khornate slaughter), while cultivating the safety of a mutually beneficial civilisation. Basically, their mission of humanitarian liberation is intertwined with an individualist mission for existential 'meaning'. On that subject, Nietzsche's rejection of morality initially sounds like it would apply to Chaos best of all. To a certain extent, this is true, as all of the Chaos gods but Nurgle embody a different facet of Nietzschian ideals, whether it be the physical assertion of power, the pursuit of Dionysian desire and pleasure or the cultivation of one's own skill and power. Yet part of what makes chaos is how these positive ideas are warped to the point of self-destruction, this dogmatism becoming its own form of bad consciousness. Archaon (and Abbadon in 40k) stands as the only true chaos Ubermensch, while Stormcast society finds a way for a multitude dedicated to the ideal to flourish. Despite their creepily expressionless facemasks, the Stormcast seem to be represented in the stories as partaking in drink, telling jokes and generally keeping a semblance of Dionysian virtue alive. They fight for a cause which they choose to follow, and are unimpeded in the ability to desire. And, of course, there's the fact that they come from all walks of life, classes and genders. The ranks of the SCE are a true meritocracy, allowing individuals to flourish within the context of the collective. HOWEVER, there is one massive caveat to the idea of the SE as Ubermensch: the 'eternal' aspect. This, ironically, is reminiscent of Nietzsche's 'eternal recurrence' thought experiment: the idea that, if one was to live out one's life infinitely, repetitiously, the subject would ave to struggle to overcome a 'ressentiment' about their existence. And this is LITERALLY WHAT HAPPENS to a Stormcast: with each death and rebirth, an increasing 'copy of a copy of a...' chain, they lose a portion of 'humanity'. This loss is represented the lack of emotion and mindless heed of orders; essentially the loss of personal desire and the internalisation of ressentiment. They express strength no longer as individuals but as passive conduits of Sigmar's will, and so fail to retain their ubermensch status. One could say that their eventual fate is to become... Slaves to the Sigmar's command; slaves to Sigmar's morality? So yeah, my thesis is that the Stormcast eternal is the ubermensch but with a shelf-life. They are initially a shining exemplar of the ideal but degrade into ﻿its parody. All of this is also a charitable reading of Nietzsche's ideas, but I'm inclined to say that's usually the best way to approach him. Nietzsche is often placed in the same category are Freud in terms of massively influential intellectuals whose ideas don't stand up to scrutiny, but I'll go to bat for Nietzsche. A bit. Not Freud, though, especially for influencing his nephew Edward Bernays . Welcome to my Living City thread. 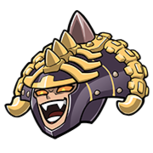 I wanted to collect all my pictures and lore in one place so from now on I'll be updating everything here. Hope you enjoy Backstory According to legends the continent of Cytharai was once amongst the most desolate of lands in a realm already caught in the oppressive grip of death. Yet for years, it came to stand as an anomaly of life and colour centered around the everblossoming forest of Athel Mirai. Until, as with all corners of the realms, the taint of chaos infected Cytharai, and great armies arose to tear down the largest cities that had grown fat on food gained from trade with the forest, and drove the inhabitants of Athel Mirai back to the sheltered groves that lay deep within the forest. A return to desolation was inevitable, until, in a case of cosmic irony, the Necroquake unleashed by Nagash set in motion the means to return life to the continent. Whilst the initial damage dealt to the forest was horrendous, many of it's inhabitants managed to seek refuge through the realmpools that lay at the heart of the forest. Alas, the pools connected not to the safety of another realms corelands, but to the outer rim of Ghyran, where the magics of life flowed untamed. Many were overwhelmed by the primal force of pure life, their bodies overflowing with magics in a lethal manner. The Aelves and Duardin of the forest were able to fare alright, with their innate control and resistance of magic respectively, but the human residents were wiped out to almost the man. Return to the forest was bittersweet however, for whilst the men of the forest were no more, and the outer edges were now haunted by the spirits of those slain in the war, the forces of Chaos, not able to escape from the sheer wall of death magic, had been struck a major blow. For the first time in a hundred years, the people of Athel Mirai were on the offensive, hoping to root out the forces of Chaos who now found themselves fighting a war on two fronts with the legions of spirits, and expand Athel Mirai till it covers the whole of Cytharai. "Even if they hide in the darkness and the mists of Ulgu, the enemies of the God-King will not escape me." — Elinor Borealis, Knight Zephyros. While chaos worshippers and traitors inside the city of Port Stellis regularly get assassinated by Nocturne, the enemies outside the walls of the free city aren't safe from being murdered by the forces of Order either. 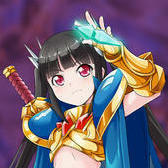 Sometimes, when his vanguard rangers identify a threatening character looming around in the Coast of Fleeting Hopes, the Lord Aquilor Andras Silverblade sends one of his best agents on a hunt, a female Knight Zephyros known as Elinor Borealis, the huntress of shadows. Elinor usually work along with her vanguard ranger comrades, patrolling and exploring the region, but when she when she receives an assassination mission, she ventures alone in the wilderness. While all Knight Zephyros are blessed with superhuman senses, Elinor has to face a peculiar challenge that the others usually don't: the landscape of Ulgu is treacherous and full of misleading illusions. The darkness murmurs lies made credible by faint hints of truth. Paths are never fixed and always change, so it is no use memorizing them. And shadowy creatures prey upon the confused and the lost who have been led astray. Many travellers and warriors have disappeared in the mists. However Elinor possesses an advantage: in her mortal life, she belonged to a clan of humans hunters in Ulgu. She is a native of the Realm of Shadows, therefore she understands the land better than most and she knows how to thwart the illusions and how to navigate in the mist and the dark. She can even use them at her advantage against her foes, slaying them with greater ease. Lately, Elinor has been ordered to monitor the movements of a chaotic army gathered in the north: the Court of all Sins. Hi all, I quite like the Stormcast models, and I tried painting them for real when AoS came out. It took me too long to get through the starter box highlighting every edge of the armour and whatnot, so I said ****** it and switched to an extremely fast paint scheme. At the end of the day, it has to be enjoyable for me. I oscillate a lot on if I even like what I did, but from certain angles/lighting I think it looks cool. I tend to have one project going on that I work hard on, and then one speed-paint project. Feels good to bang out a whole army pretty quickly. My justification for the scheme is they are a dark legion of barely human, emotionless super warriors trudging through a storm/hail/harsh rain and getting very bloody during it. This was made up from the models I had, not any particular list, but the army is as follows: Celestant Prime Lord Celestant on Dracoth Lord Relictor Knight Venator 10x Libs with hammer and shield 10x Libs with hammer and shield 10x Libs with hammer and shield 10x Libs with paired blades 10x Protectors 5x Retributors 2x Dracothian Knights Thanks for looking! Introduction post - what is Port Stellis? Hi guys! With all the stuff lately about the Free Cities, such as those from the Firestorm campaign box, or about making our own cities, I started to think about a setting for my Order armies. I must say that I really love the idea of several races (humans, aelf, duardins, etc.) coexisting in a same army under the banner of their Free City. So I cooked my own Free City: Port Stellis. What is Port Stellis? It is a harbour city located on the Coast of Fleeting Hopes, in one of the thirteen domains of Ulgu. The Coast of Fleeting Hopes is a very dark region: the night lasts half of the year while the day is bleak and gray during the other half. Port Stellis was originally an aelf corsair campment but it developped fast to become a fully fortified city thanks to human, duardin and aelf settlers. To this day, Port Stellis has become the home of nearly 100.000 people (humans, aelves, duardins and stormcast eternals) and the number is growing. The city and the surrounding region possess many special and uniques features which make it a strategic place for the Order alliance. What factions are there in Port Stellis? Here is a list of some of the main Order factions in Port Stellis at the present time (more may come when the city gets bigger): Collegiate Arcane Dispossessed Free Peoples Order Serpentis Scourge Privateers Stormcast Eternals The others Order Factions are not necessarily absent from Port Stellis, but they don't have enough people present in the city to be considered as "real factions". Now, let's see the special features of Port Stellis! The Star Ocean Gate and the Scourge Privateers "I've sailed thousands of miles, thousands of miles, chasing the stars...♪" — excerpt from a popular song among the aelf sailors The primary feature of Port Stellis is a huge Realmgate situated in the middle of the city bay. Its leads indirectly to the realm of Azyr. Since this gate is on the very surface of the water, a ship or a boat is required to pass through it. However crossing it is particularly dangerous because before you can arrive in Azyr, you need to sail through a mysterious interspace which separates the realms of shadows and heavens: the Star Ocean. The Star Ocean is a magnificent and breathtaking vision: a starry night sky, without any cloud or any light pollution, and a perfectly still ocean which reflects the sky just like a mirror. When a boat passes through the gate and enters the Star Ocean, it is exactly as if it were floating through the cosmos. It is all quiet and silent with scintillating stars everywhere and beautiful clouds of interstellar dust. However the Star Ocean is seemingly infinite and thus dangerous: if a captain goes astray or simply doesn't know how to follow the secret path hidden in the stars, then there is no way back home. The ship will get lost and wander forever... To this day, only the aelfs corsairs of the Coast of Fleeting Hopes know the path through the Star Ocean and to the realmgate at the other side. And even if they know the way, they still need the blessing of Sigmar to open the gate to Azyr. Note that those aelves worship Sigmar under the aspect of Silmaris, God of Cosmos, Lord of storms and Guardian of the Star Ocean. Since the corsairs are the only sailors who can travel from Port Stellis to Azyr and thus transport passengers and/or merchandises, they have a huge importance in the city and they are one of the most influential factions. Among them, Captain Naritha Blackbird is the most powerful of all: she commands nearly all the aelf corsairs of the Coast of Fleeting Hopes. The Scintillating Mines and the duardins miners "Brothers, sisters, never forget that Port Stellis is flourishing thanks to us and our hardwork!" — Barik De Bier Half a day's walk from Port Stellis are the Scintillating Mines. They are a network of underground galleries in which duardin miners extract precious gems called clariæ . It is an iridescent gemstone that emit a scintillating light, like a little star. Clariæ gems are Port Stellis's first export merchandise but there are also a lot of jewelers in the city who specialize themselves in carving those gems and craft beautiful jewels out of them. The wizards of the Astromancer Guild are also very interested by those gemstones and they are actively studying them since they believe they may have magical properties. The duardins of the Miners' Syndicate pride themselves on providing the city's primary source of wealth (the gemstones) and thus they have a lot of influence in Port Stellis. Although they wish they could do business without the aelf corsairs, they need them to export their gems in Azyr. The Miners' Syndicate is led by Barik De Bier, the richest duardin in town, who wears clariæ rings on each of his nine fingers. Rumors say that he became incredibly rich during his youth when he found a melon-sized gemstone while digging in the mine's deepest tunnels. The Stormkeep of the Stellar Champions "Sigmar's light shines eternal!" — motto of the Stellar Champions A garrison of Stormcast Eternals is present in Port Stellis. They are the Stellar Champions, one of Sigmar's stormhosts. Their most striking feature is their dark armors adorned with stars. Their leader is the noble Lord Aquilor Andras Silverblade. The Stellar Champions' mission is not only to protect Port Stellis and keept it clean from chaos corruption, but also to chart the region of the Coast of Fleeting Hopes and hunt the strange wild monsters who may become a threat should they get close to the city. Sometimes they are accompanied by the aelf corsairs who are always interested in hunting and capturing monsters. The Order Serpentis "I will take back what is mine and those barbarians will regret being born." — Sicath Somberheart A detachment of the Order Serpentis is posted in Port Stellis. The knights are led by Sicath Somberheart, an old white haired dreadlord who aspires to take back his lost fiefdom from the hands of Chaos barbarians. When the Age of Chaos came, he had no choice but to flee with his soldiers in Azyrheim because the enemies were too numerous. But after several centuries he will finally have his revenge... In fact his lands are only a week's walk from the Port Stellis. So far his soldiers have been training and defending the city along with the regular army, waiting for the day they will be fully ready. New drakespawn riders regularly come through the Star Ocean Gate to join Sicath's cause and pledge fealty to him. Sicath has the secret support of a few sorceresses of the Darkling Covens who are also waiting to take back their own lands in Ulgu. If Sicath is successful in his quest then they too will move in Ulgu and go to war with their chaotic enemies. The Astromancer Guild "The long dark night is coming. Sure it will be gloomy around here for half a year but this will also be ideal for studying the constellations!" — Caïus Lorentius Port Stellis is the home of the renowned Astromancer Guild. It is a college of wizards who seek to master the magic of heavens (although a minority of them choose to learn the magic of shadows instead). 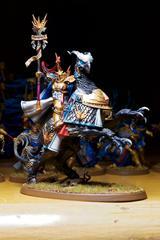 The Guild is led by the grand master Caius Lorentius, a very stern scholar who possesses his own Celestial Hurricanum. That's it for now. I will write more about the Coast of Fleeting Hopes and its strange inhabitants later. Here is a stormcast on which I tested a color scheme for my Stellar Champions Stormhost. When the real army will come, I will probably do a few minor tweaks in the color scheme (like painting the halo around the helm in a different color, perhaps silver) but the idea is there. The vanguard stormcast from the blightwar set will be painted like that. Meanwhile I ordered a gaming mat which will represent the typical terrain around Port Stellis and in the Coast of Fleeting Hopes: I can't wait for it to be delivered at my home! I'm starting this thread now, with the intent to add some photos later. Basically, I'm attempting to see how far I can stretch my SCE army based on conversions. It's tricksy, because starter boxes don't come with a lot of bits. Inventory: 2 complete starter sets - 1 full set is already assembled and primed before I start, the other is brand new 1 partial starter set (missing the Lord Celestant sprue, and one of the sprues with 1 Prosecutor/4 Liberators) 1 Knight Vexillor 1 box of Judicators 5 White Dwarf bonus Liberators - already assembled and primed Total model counts, unconverted (* indicates models not in the starter set): Lord Celestant on Dracoth - 2 Lord Relictor - 3 *Knight Vexillor - 1 Liberator Prime - 6 Liberator - 25 Retributor - 9 Prosecutor - 8 *Judicator - 5 So far, the things I've done include: Convert Relictor #3 into a second Vexillor, using the leftover 2nd banner from the Vexillor kit and a non-skull head from Liberator Prime #3 (who is a sacrifice to the bits gods) Convert Lord Celestant using smaller hammer and shield from Liberator Prime #3 (RIP LIberator Prime #3 - unless I can use more bits to turn your body into something else) Use Lord Celestant's big hammer to give Liberator Prime #4 a grandhammer (still with a shield, but that's OK by me) Dig through my bits for Ogre and Dragon Ogre hammers to make the other Liberator Primes, #5 and #6, fun "outsider art" grandhammers, again still with shields but that's fine by me Plans for the future include: Convert Prosecutor #7 to be a Knight Venator. I have a blister of birdies from 40k, and there are leftover bow bits on the Judicator sprue. Shouldn't be too hard. Convert Prosecutor #8 to be a Knight Azyros. I have a couple likely swords in my Chaos bits, and I know I have a lantern somewhere if I can remember where it is and find it. The one on the Skull Pass mine cart isn't my first choice but will do in a pinch... Convert one Retributor to have a Starsoul Mace. There is a likely mace head in the Dragon Ogre kit, and I only used one out of my two boxes, so I should have one spare mace head. If I can figure out other ways to do it without a lot of trouble I wouldn't mind more... Try to get one more Retributor. Whether it's a more dramatic conversion from a Liberator, or beg/borrow/trade one from a mate. Would be great to have 10 rather than 9. It's pretty fun - I do lots of conversions like this, but I'm usually starting from a full bits box with relevant bits. I had some time to go over the Stormcast today and taking into account my last ten games I've come to some conclusions about what I believe could be done to balance and sensibly adjust the internal workings of the faction. This is not exhaustive. I haven't even gotten into our battalions; which in my opinion are almost all unplayable in any kind of competitive environment save one or two. This is also intended to spark conversation so please, contradict me! I hope this post takes off and we get a good bit of discussion in here, thank you in advance for your time considering the following... -Liberators remain at 100pts but cap at 20 for 360. Sequitors go to 140-160pts capping at 440. -Paladins fall, using Retributors as a baseline to 180-200pts and Evocators rise to 220-240pts. (Personally I'd like to see a buff to paladins to reflect their abilities as described by the lore.)  -Judicators stay constant and Castigators become battleline in the same manner as Sequitors. (Reasom here being the stormcast have maybe 6ish shooting options and Judicators are taken 95% of the time due to being the only ranged focused battleline option.) -Dracothian Guard remain the same as do Evocators on Dracolines. I have heard arguments to the contrary and that is why I list it here. -Prosecutors fall to 80 points. -Gryph hounds to 100 points. -Lord Exorcist to 100 points. -Change wording on all special characters from "Hammers of Sigmar" to "Unit with the same Stormhost Keyword" so that no one is locked from having a special character because they play/paint a different host as in the old days. All models now assembled it was time to put splash a little colour all over them. I had some idea of what I wanted but I asked around, as I am very unsure when it comes to colour choice and colour scheme, and this can cause pauses in painting that last years or the thread never gets picked up again, because i can't decide what colour the sash should be or how to highlight from the base colour I've sploshed on. If I can cut out this indecision and consternation before I even pick up a brush perhaps it will help me finish a project, which is a mission statement of this blog. To get me over the finishing line. So I had some options I put out there for opinions, and finally went for a Dark, British Racing Green with White accent and Gold spot color. I would do all weapon hafts purple, extra robes, belts etc black. Weapons Leadbelcher to Stormhost silver. The Soul Grenades I haven't decided whether to do Blue glass or Fiery red to show they are explosives, so I will do a mixture of the two and see which I prefer. The model I had converted most heavily was were I would test my scheme because I had invested the most ambition into this model my motivation was at its highest. The model is a Sequitor (Sequitor Prime?) that I swapped a Blood Angel head onto, chopped the hand off, replacing it with the Darkoath Chieftan's Silver Tower, trophy Tzaangor hand, doing a rough green stuff fur/hair to hand but I'm not very good with green stuff, hopefully you can't see the join. I'm not sure the black with blue sash, works, I went for an Ash Blond hair on this model, but think I'll do Black, grey on others. Made a wash from Fenris grey for the white robes but think I went too blue so tried to rescue it later. This after trying to plan my paints before starting model to prevent exactly this happening, but I guess I minimized these sorts of hurdles for myself by planning in advance. Not great photography, sorry. I attemped to go Blue Lightning tribal tattoos on his check bones, but I think he looked better without them. I do not know how to paint the Soul Grenade vails, I used the technique for space marine lenses but i think I'll have try something else and perhaps Blue on the next model. And I'm ****** at horns. "Witness now Sigmar's Power and reflect on your deeds". It was what he told the survivors and the foes, the rescued and the persecutors, all the same. It was what had been said to him at his forging and he dwelt uneasily on the words now, centuries later. What had been his deeds, and were they worthy, he couldn't remember or reconcile all of them, and it was getting worse. He meditated on the tattoo on his face, that the tribe he had once drawn together had inked permanently onto to his features to symbolise the stubborn resistance fighters against the Blue Devils called Tzaangor that terrorized their brutally short lives. He knew they meant a resiliance, a brotherhood of fighters, a defiance, a purpose, but they did not represent victory. He could feel the guilt and disenfranchisement the tattoo seemed to represent too now. He kept struggling to fix what his purpose was again? He had witnessed the power of Sigmar but had not witnessed the end of the battle and now he was the power in a new war. A long war he couldn't quite remember all the pieces of. Hios deeds in this war, what were they? His great power what was its purpose? A tug on his robes broke him from his trance, a tribesman of sort, in bright colours with sleeves that ballooned ridiculously was desperately trying to impart something. "Incursion! They are amongst us! Deamons! Deamons! From their mouths! They ate her, we only asked for food" The human cried in alarm "Thank you good citizen! Which way?" The stormcast replied, eyes tightening in determination. A spray of colour and limbs smashed through a wooden window shutter and onto the street, it corrected its form into a squat , toothy, mass of tendrils and immediately got split in two by a great cleaving blow from the Stormcast. "Sentinels! On Me!" the Stormcast roared as he set about his violence with practiced precision. I have decided on a background and name for my Stormcast Eternals army. The Thunderhead Sentinels. Sentinel is the local news paper and i like the implied violent anticipation of a Thunderhead. I envisage them as a tribe in the first founding of the Realms that carved out an existance in a land dominated by Chaos and in particular the worshippers of Tzeentch. In will-power and resiliance of this tribe to bloody mindedly make a life in this hell drew the attention of Sigmar who over a thousand years of generations of this tribe would pluck the great warriors from it to ascend to Azyr. The tribe is long lost. Maybe it was wiped out, maybe it fell to chaos worship and dissolved, maybe it evolved into civilization and new prospects. It is no more however. The tattoo's serve to help with the flaw in Re-casting after each death as it gives an anchor to their soul and their personality but to a deep past and not the present events. This gives a reason for more faces on my models, they retain a bit of humanity but they fear becoming the faceless mask and are trapped with a sense of failure of a former life. I am looking to sell off some of my over zealous purchases to help fund life! I am based in Stirling Scotland, and will post anywhere at cost or we can arrange to collect. I would also listen to offers for trades for death models. Stormcasts are mostly painted I will update with pictures later, however for now they are a heavily shaded gold with green shoulders. These guys are tabletop standard at best. They were painted to be played at a tournament and were rushed. Looked good in play though! All the models are painted to the scheme as above unless other wise specified. Lord Celestant Lord Relictor Neave Blacktalon (gold spray) Warscroll Cards The now old battletome Will take offers on individual units now as someone took a large portion of the army. I also have 16 Glade Guard, 5 Sisters of Thorn, 5 Wild Riders, 10 Shadow Warriors with Wood elf heads, a spell weaver and a Glade Lord on Great Stag. All assembled and based. Glade lord has been painted... you might want to strip it I am especially interested and looking for Arkhan the Black (Just the Rider) as I messed up gluing him to the saddle. I would also consider listed in order Spirit Hosts Morghasts Fenrasian Wolves Hexwraiths Black Knights Skeletons Grave Guard Terrorgeists/Zombie Dragons I will take photos this evening of any any all of what you want to see through a PM. I have sold through here before and I am reliable and will send quickly and securely. PM me for any additional details you would like to know. Cheers! Hi everyone, I been playing aos with my local group and i decided i really like it and i'm gonna get serious with it since i'm the competitive type . This is the first time i'm going to play mass battle games, right now we are playing path to glory and i'm playing stormcast eternals, after i finish 2000 pts of stormcast i'm gonna focus on building my slaanesh army ( mostly daemons for now ). I did went to LoV 2018 and it was amazing to see so many people playing AoS in those beautiful tables, i did play in the Shadespire tournament on friday but now i want to go back next year and play in one of the AoS tourment and see how many i can take down before being slaughtered by a more worthy general, it will be delicious to have that exhilarating experience for the first time. I'll be annoying everyone with questions about everything but i promise i'll be reading the ones that are already here and do my own research beforehand. Thanks a lot and happy gaming!